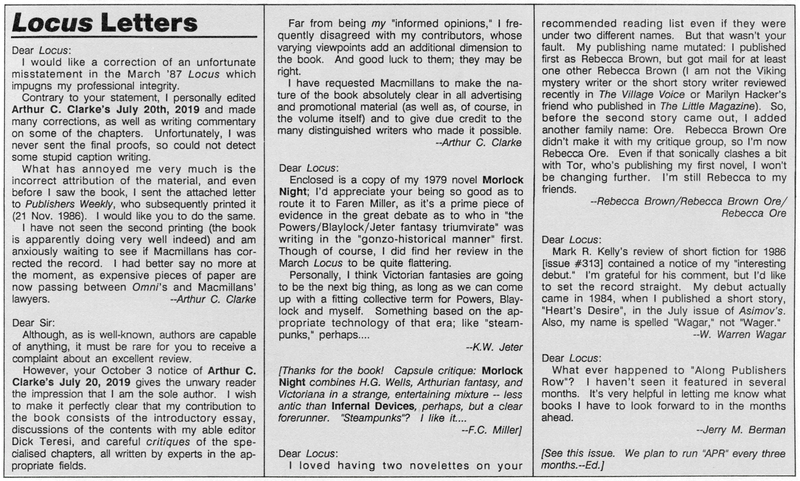 Writing to science fiction magazine Locus in April of 1987, author K.W. 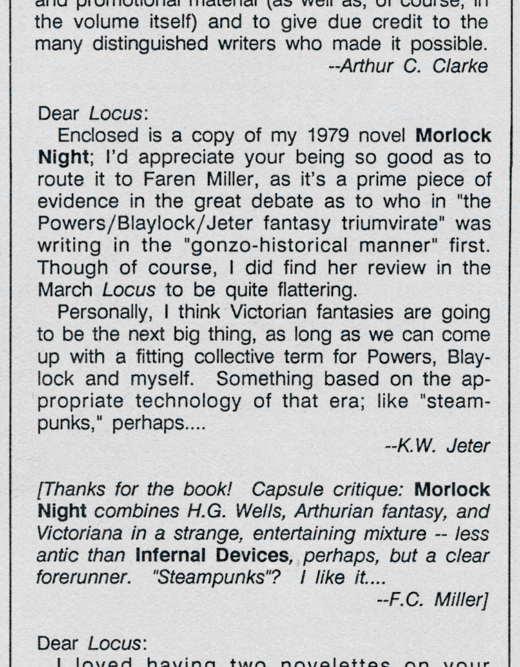 Jeter responds to Faren Miller's review of his new novel, Infernal Devices, and in the process coins the term 'steampunk' to describe the sub-genre of work then-written by just a trio of authors that included, alongside himself, Tim Powers and James Blaylock. As we now know, Jeter's tongue-in-cheek twist on the word 'cyberpunk' soon caught on. Transcript follows. 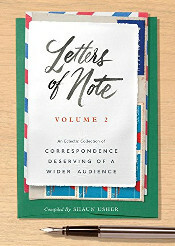 Image kindly supplied by Locus Publications; reprinted with permission. To read the entire section from which Jeter's letter was cropped - including a missive from an irked Arthur C. Clarke - click hither.